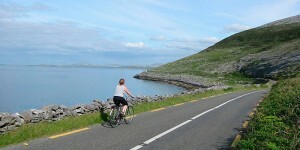 The Kerry Coast cycle is a self-guided cycling holiday around the Ring of Kerry. 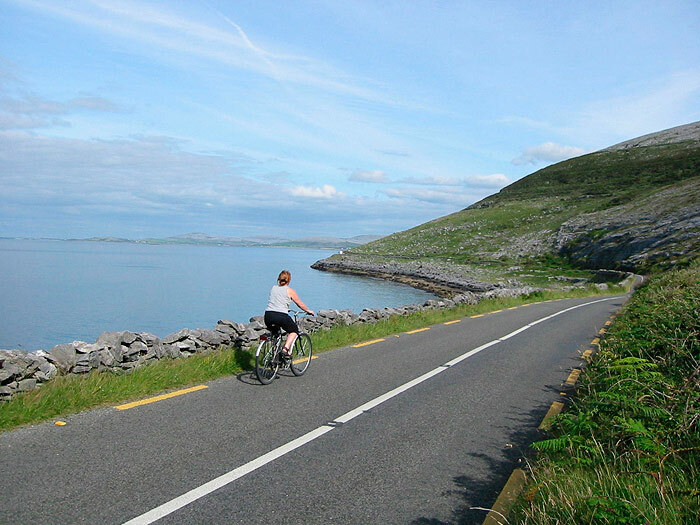 Pedal your way around the famous Ring of Kerry and enjoy one of the most picturesque routes not only in Kerry but in Ireland. Cycling the quieter roads, breathe in that Wild Atlantic air while encountering many beautiful beaches, rivers and lakes along your journey. 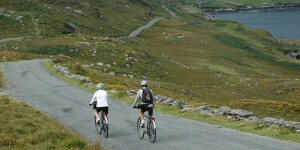 Discover the hidden beauty spots at your leisure during this wonderful Ring of Kerry cycling holiday. Stay in welcoming and friendly guesthouses and B&Bs along the way, enjoy sumptuous breakfasts and great stories and tips from your hosts. 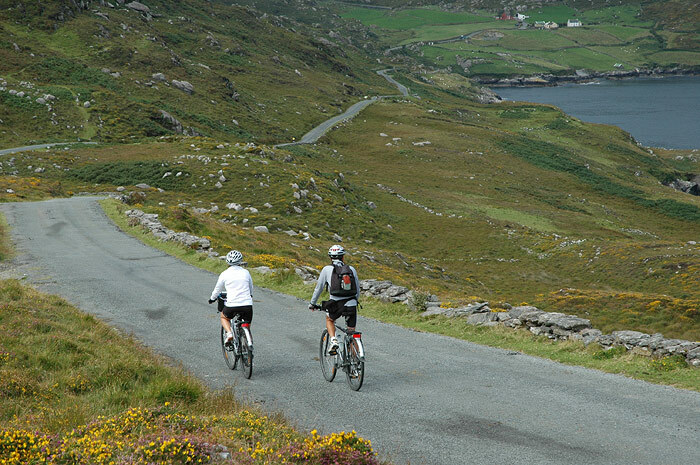 Surrounded by coastal and mountainous scenery along the Wild Atlantic Way, this holiday is a must for any cyclist. Take your time, enjoy the views, engage with the locals and pedal your way to happiness! We have planned this itinerary to allow you to enjoy your stay in Kerry. Your overnight destinations include Killarney, Glenbeigh (only 1 mile from Rossbeigh beach), Waterville, and Sneem. Included in the journey is a free day in Waterville where you will find many other activities and places to visit during your holiday. The Skellig Islands, Derrynane Beach, golf, horse-riding and water sports are just some of the options available to you. We will take care of your accommodation and luggage transfers, and provide you with detailed maps and notes for your trip. For further information and details see our full itinerary below. Welcome to Killarney and ‘The Kingdom’ of Kerry. On arrival you may have some time to wander around the beautiful town centre or have a quick walk in Killarney House & Gardens before settling into your accommodation. Relax and take time to read your cycle pack and notes and maps for your week ahead. Total distance of 49km/31 miles. Ascent: 463m/1520ft. Collect your bike close to your accommodation and test it out before setting off. Your first cycle takes you from the National Park town of Killarney to the Reeks District & coastal village of Glenbeigh through Beaufort Valley and onto the isolated valley of Glencar where you may like to take a break for lunch and enjoy the serenity of this area. In the afternoon you cycle along the shores of Caragh Lake, bringing breath-taking scenery to a new level, allowing you appreciate what you have achieved already on your first day as you continue onto the seaside village of Glenbeigh. Leaving the Reeks District behind, today’s cycle takes you further down the southern section of the Wild Atlantic Way and along the shores of Dingle Bay with great views of the Dingle Peninsula in the distance and onto the market village of Cahersiveen where you can stop for your lunch break. In the afternoon you have the optional longer cycle of detouring to Valentia Island, on route to the seaside village of Waterville or go directly via the main road. See how your legs are bearing up before you decide, but remember you do have a free day tomorrow! Overnight in Waterville for 2 nights. Today is a day to do as you please. We have included some local cycles which you may like to venture out on. If you decided against Valentia Island yesterday you may like to explore it today. Take a trip out to or around the Skellig Islands. Play a round of golf or simply relax and rest those legs! Total distance of 48km/30 miles. Ascent: 705m/2313ft. Be ready for a tough but rewarding start. Today’s cycle takes you up through Coomakista Pass, which is one of the best viewing points in Ireland with magnificent views over Kenmare Bay and the Atlantic Ocean. And remember what goes up must come down!! A choice of lunch break awaits in either Derrynane House, which is the home of the Irish Liberator Daniel O’Connell or in the small village of Caherdaniel. In the afternoon continue cycling along this spectacular coast to the beautiful village of Sneem. Total distance of 45km/28 miles or 61km/38 miles. Ascent: 640m/2100ft (optional 778m/2552ft). You are nearly there!! Today’s cycle takes you inland and off the main Ring of Kerry road back to Killarney where it all began! The highlight of today is your well-earned rest at the top of Molls Gap where you may like to stop for lunch. The climb is well worth it for you to enjoy the impressive view of the spectacular Lakes of Killarney. In the afternoon take your time on your way down to Killarney with recommended stops at Ladies View, Torc Waterfall, Killarney National Park and Muckross House (19th C). If you want to lengthen today’s cycle you can detour to the heritage town of Kenmare. Overnight in Killarney for 2 nights. Total distance of 24km/15 miles or 56km/35 miles. Ascent: 250m/820ft (optional 760m/2493ft). You’re not finished yet!!! Today you cycle again through part of Killarney National park to the renowned Kate Kearney’s Cottage and embark on your last cycle through the dramatic Gap of Dunloe and into the remote setting of the Black Valley. Return to Killarney either by cycling by the Three Lakes or getting a boat through them from Lord Brandon’s Cottage to Ross Castle where you have a very short cycle back to Killarney town and reflect and celebrate your remarkable Ring of Kerry week. ‘All good things must come to an end’. Enjoy your final hot cooked Irish breakfast and you’re ready to go. Killarney bus and train stations provide several transfer options for you to continue on your journey. Slan abhaile – safe home! Price: €670 per person sharing. €740 per person sharing (July, Aug). Single Supplement: €250 for the week (limited availability). Please note for single travellers: If there is only 1 person on the route at any time there will be an extra luggage transfer charge of €90. Language: Please state at the time of booking whether you want the notes in English or French.